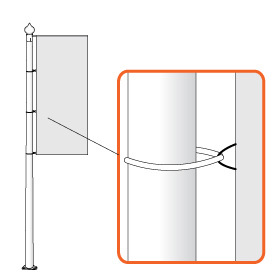 STANDARD flag raising-system (string for lifting the flag pole located on the outside). LOCK flag-raising system with a lockable lid (string is located inside). 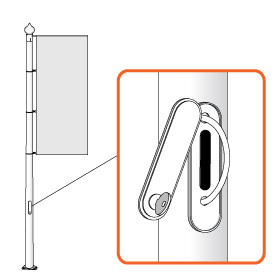 WINCH flag-raising system (string and mechanism located inside of pole, on outside- handle winding operation). 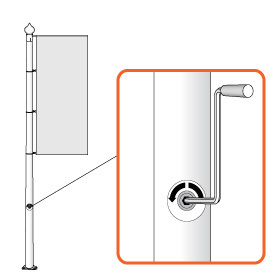 BANNER LIFT (for LOCK flag-raising system). BANNER LIFT (for WINCH flag-raising system).